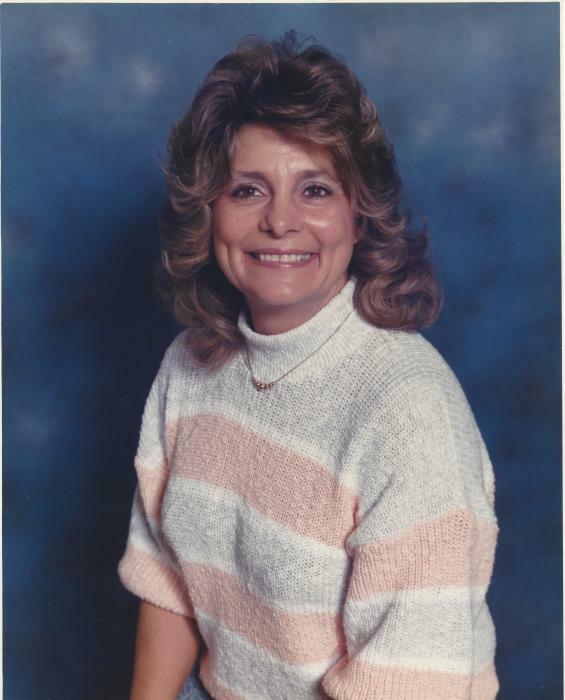 Elaine Franklin, age 71, wife of Dennis J. Franklin, passed away March 20, 2019. Elaine was the daughter of the late Alva Boyce Chandler and Johnnie Mae Wilson Chandler Wages. (her late step father was Jesse Ambrose Wages). In addition to her husband Elaine is survived by her children, Renee James, Keith Roof, Teddy Grant, and Jonathon Franklin; one sister, Mary Elkins (Bob) of Chester; grand-children, Eric James, Dustin Roof (Rosie), Zach Roof (Carleigh), Brealey Grant; great-grand-children, Hunter Lee Roof, Autumn Leigh Roof and Aleenah-Jade Devaney Frazier and one expected great-grand-child. Elaine attended Chester First Church of the Nazarene where she had served on the Bereavement Committee. She enjoyed serving her church and being with her family. She was known for her collection of Campbell Soup memorabilia. The family will receive friends Saturday, March 23rd, 11-11:50a.m. at Chester First Church of the Nazarene. Services will follow immediately in the sanctuary and conducted by Pastors Brian Howard and Bayliss Adimaro. In lieu of flowers the family request memorials made to Chester First Church of the Nazarene, 182 Pinckney Street, Chester SC 29706.